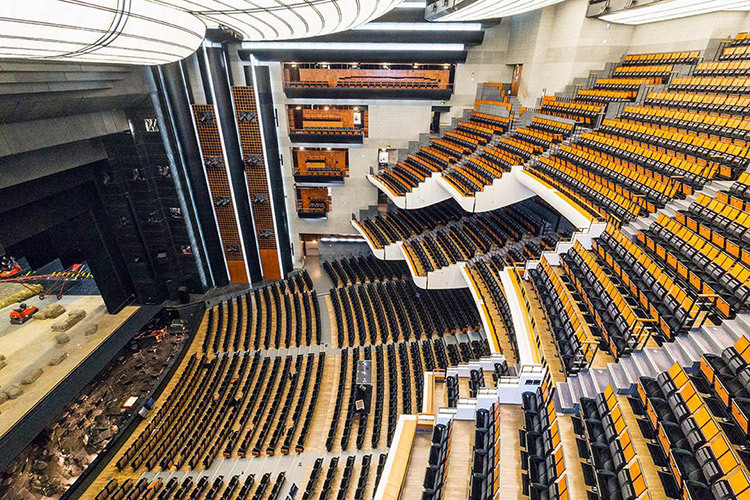 The complex architecture and difficult acoustics within the opera house demanded some very specific requirements from its new sound system: it should be seamlessly integrated into the surroundings while delivering the highest levels of speech intelligibility and music reproduction to every seat in the house. 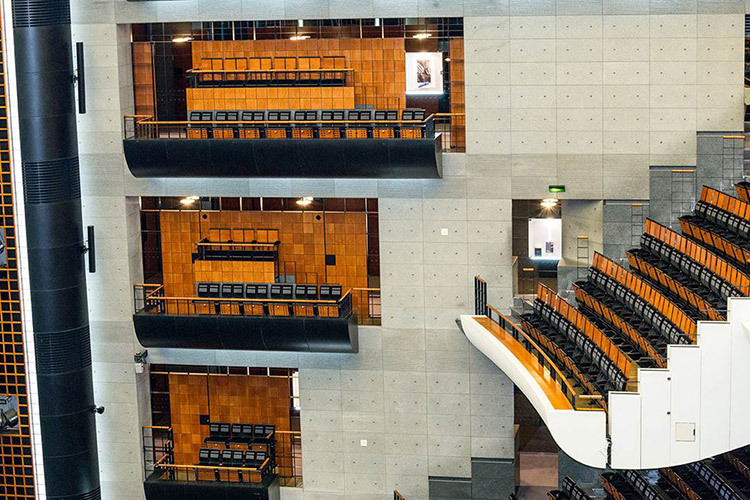 Acoustically, the main balconies of the auditorium posed a challenge as each one covers the seating directly below. Placing loudspeakers level with the seating (or above it) did not guarantee even coverage of every row. With the top tier 18 metres high and 40 metres from the stage, providing optimum sound coverage without spoiling the architecture or impeding audience views, required a system that can deliver on a number of different levels. The decision to use loudspeakers equipped with Fohhn’s state-of-the art beam steering technology killed two birds with one stone: Firstly, it could eradicate any acoustic problems caused by the main balconies. Secondly, the systems’ slim, compact dimensions would ensure excellent sound quality while blending unobtrusively into the hall’s interior. 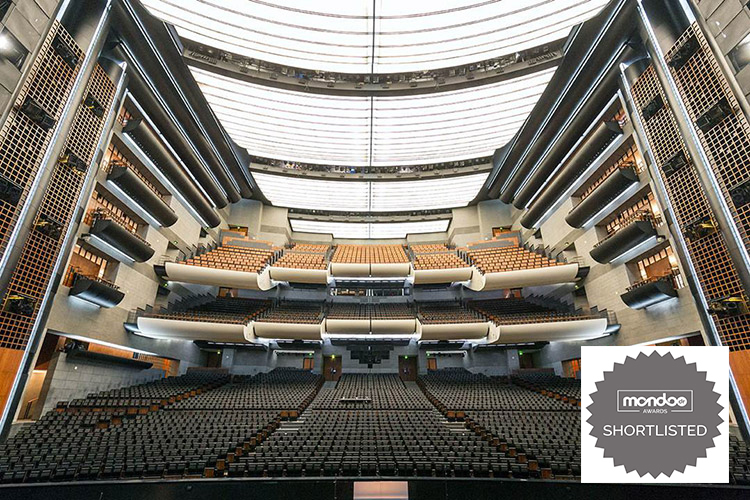 Focus Modular systems were selected to provide precise, high-quality coverage of both the main part of the hall and the balconies. 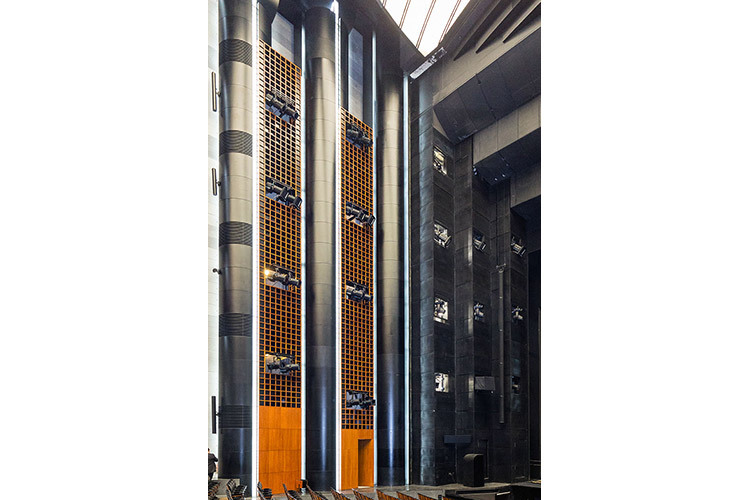 At each side of the stage, a 7.48 metre column comprising five loudspeaker modules was installed: A stack of three FM-400 low-mid modules forms the column’s centre, with high frequency FM-110 modules top and bottom. 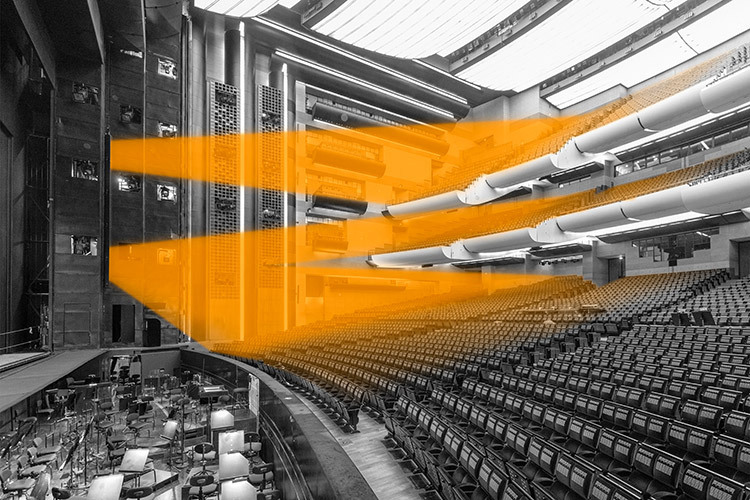 The individually generated sound beams from each speaker module can effectively cover all seating areas without spoiling the view. 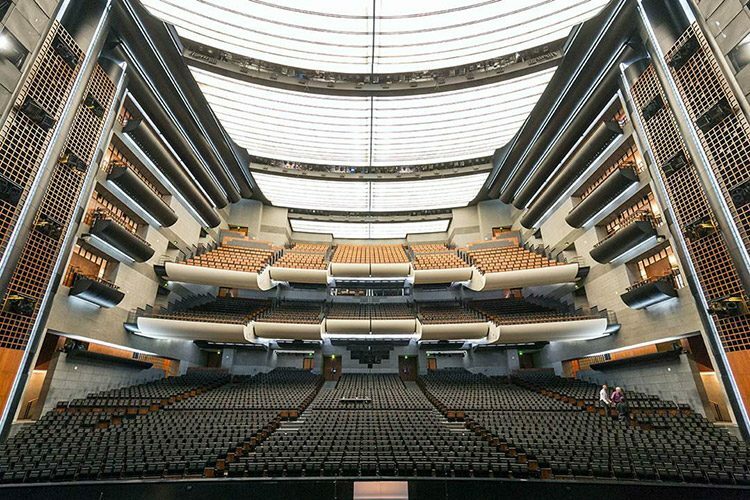 The beams can be adjusted to reach the tiers of seating at the very back, below the main balconies. Due to two beam technology, which enables the generation of two separate sound beams, unwanted sound reflections from the balustrades can be avoided. The main system was supplemented on both sides of the hall by passive Linea LX series line source speakers, driven by D-4.1200 amplifiers with integrated digital signal processors (DSP). The amps’ DSPs enable frequency response and run time adjustments to be made, thus optimising the LX systems in relation to the main system and the room architecture.